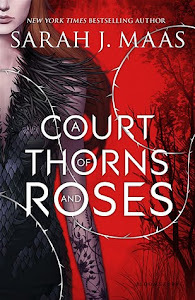 INTERVIEW with Amber Kizer and GIVEAWAY! The Summoning is the only book I have read by Kelley Armstrong so I can't say I am a huge fan of her work since I am not that familiar with it. However, I have to admit that I quite enjoyed The Gathering, despite the fact that so many things were left up in the air. Armstrong's writing in The Gathering is what I remembered it to be: easy, simple, to the point, fast paced. I think this type of writing is best suited for YA books, as they don't drag out the story or try to make it more than it actually is thus tiring the reader. The narration has a nice flow and you may find yourselves finishing the book in a day! I pretty much liked all the characters in TG. Maya is a kind and smart girl, who is still coping with her best friend's, Serena, sudden and unexplained death. She is open minded about anything remotely weird(she grew up in a secluded town where they conduct experiments, after all), so she doesn't have a major melt down when she finds the truth.Rafe is the guy that Maya likes. We don't really get to know a lot about Rafe. I suspect Armstrong made him so enigmatic and mysterious for a reason. Whatever it is, it worked on Maya, who despite her better judgment falls for him. I liked that her attraction to him evolved gradually and naturally, unlike seeing him for five minutes and asking him to marry her!Last but not least, Daniel, the best friend. I liked Daniel's character a lot and I really, REALLY hope he doesn't express any romantic feelings towards Maya in the next book, otherwise I'll be majorly pissed! I love the fact that they are such good friends and they tell each other everything. Why ruin that? There's already a love interest, no need for another. Crossing fingers like crazy that this won't turn into another love triangle, ugh! As of now, however, I didn't detect anything in either Maya's or Daniel's behavior. Here's hoping! As for the ending, yeah. It's cliff hanger-ish. I may be the only one who actually looks forward to these types of endings, because they tend to leave you craving for more and make the book even more memorable for me. Truth is though, so many things were unanswered which I believe, as this is a series, will be explained in the next books. 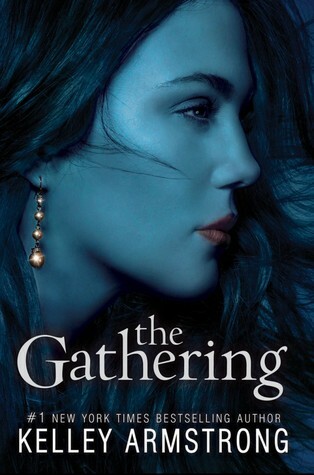 With great writing, likeable characters, interesting story with just enough unanswered questions to make you come back for more, The Gathering is a read that is definitely worth your while! I'm super excited to read this one!